Warranty, Use and Care, Privacy, Return Policy, Shipping info. 1. Warranty, Use and Care, Privacy, Return Policy, Shipping info. 10. Are They Kidding LOL? 12. Do You Really Want a Copper Sink? SPECIALS/CLEARANCE - Save Even More! 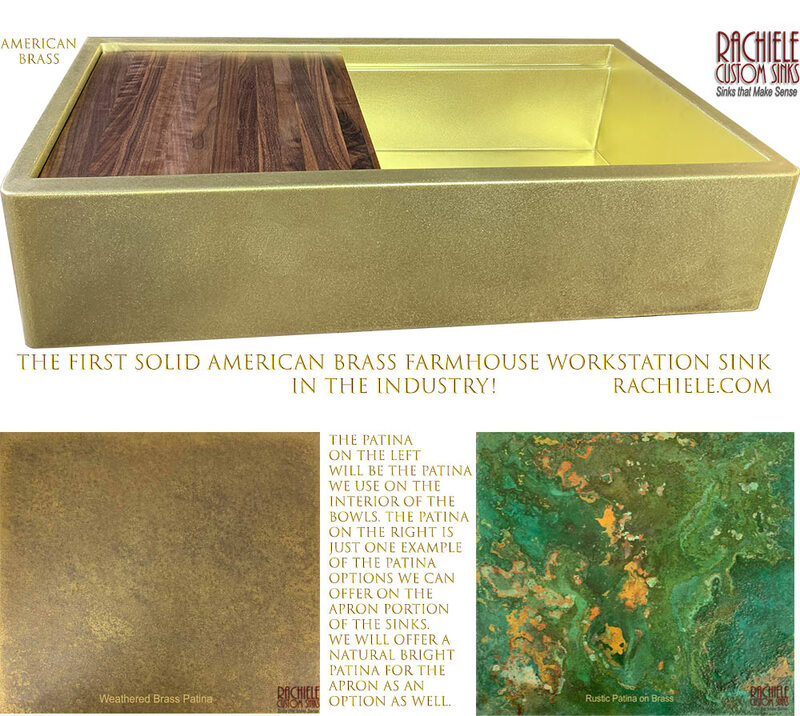 The First Brass Workstation Sinks ever Crafted! 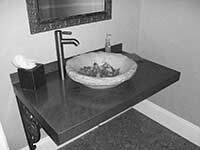 We searched the Internet and could not find one Brass Workstation sink. I thought we should fill that void! Brass sinks are stunning to see in person. Those who have seen our photos and then had a chance to see the sinks in person have indicated the photos do not do these sinks justice. We have been experimenting with Brass for a while now. We have discovered that Brass is much more difficult to weld and finish. Because these sinks are truly at the top of the Luxury scale, we do some things we spend more time putting a gorgeous small radius in each corner of the sink. The hand finishing of one of these sinks takes days. 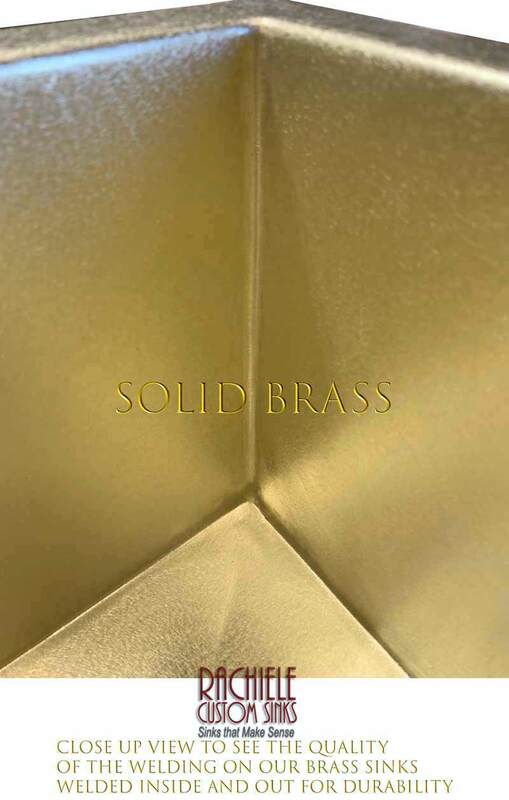 Take a look at a close up view of one of the inside corners of our Brass Sinks. 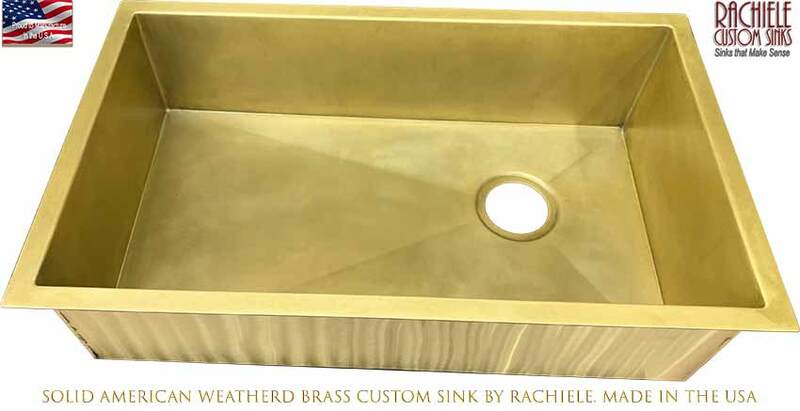 We can weather the interior of your brass sink or leave it natural so you can keep it polished. If you ask for it to be natural, we will finish with a finer texture. Just let us know. We can also create artistic (Rustic) patinas on the apron portion of these sinks. The artistic (Rustic) patina will have a tough clear topcoat to protect the patina. We can build just about any design we offer in stainless or copper for you. 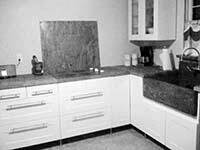 Due to the size limitations of the domestic material, some sink designs will not be possible. Be assured, we only use American Brass. Since these sinks are quite special and very custom, pricing is by phone request only. You may call me at 407-880-6903. You will be working with me directly (Dino Rachiele) throughout the entire design and manufacturing process. 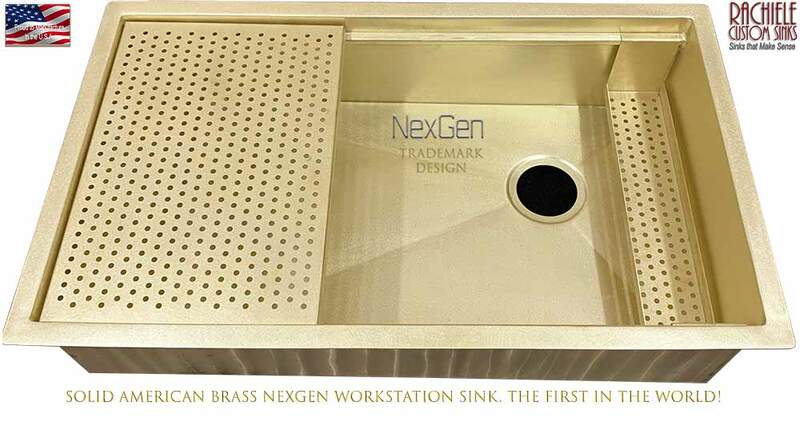 As a general rule, investing in a custom brass sink will be significantly more costly than a comparable copper or stainless steel sink. The Brass Under Mount Sink to the left is an example of our weathered interior. The Brass Sinks are fairly easy care, nearly impossible to dent and offer a luxury look that is unparalleled. Pair our Brass Sink with a Waterstone Unlaquered Brass Faucet for a unique and rustic, while elegant, look. This beautiful under mount NexGen sink has no patina. You can order one this way or with a patina. We can build an awesome Evolution Two Tier Sink with this solid Brass. For pricing, please call 407-880-6903. 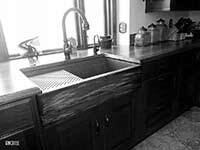 Since these sinks are complicated to produce, they will be much more costly than our copper or stainless sinks. We will not price via email request, as there are so many options to discuss that pricing would be innacurate. Sign up for extra discounts, free stuff and news. Those of you on our mailing list get discounts before anyone else and often can grab a clearance item before everyone else. I promise not to send more than one or two emails a month. Try it for a while, if you don't like it, it is easy to unsubscribe. Phones forwarded to Dino after hours. © Copyright 1999-2019. All Rights Reserved. Hosted by Alpha Internet Presence I can't say enough good things about Alpha Internet Presence. Check them out!